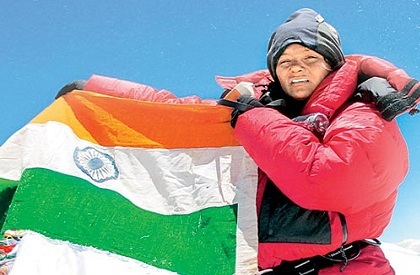 BHOPAL: A day after first amputee Everest conqueror Arunima Sinha was allegedly insulted at her Mahakal temple for her disabilities, Women and Child Development Minister Archana Chitnis apologised to Sinha for the incident and said the mountaineer was the pride of the country and ordered an inquiry into the incident. She further said that I would talk to the priests at the temple and also visit Lucknow soon to meet Sinha. However, the temple authority on Tuesday said a specific dress code had to be followed to enter the sanctum sanctorum. However, Sinha told reporters that the footage also showed a man entering the temple's sanctum sanctorum wearing jeans. “Not allowing a person wearing jeans or pants in the sanctum sanctorum is wrong. In the footage, a man is seen entering the restricted area wearing jeans. Why was I not allowed? Only because I am a disabled woman? I am a devotee of Lord Shankar,” she said. The 29-year-old mountaineer also said she did not intend to seek an apology from anyone over the incident. Recounting her unpleasant experience, she had earlier said her disability was mocked at when she visited the temple. Meanwhile, Ujjain Commissioner MB Ojha said that the temple employees should behave decently with the disabled and they have been scolded for the incidence. As far as the demand of Sinha over dress code is concerned we are not able to change that age old practice on our own for that discussion on all levels should be held.